If you want to organise a successful wedding, then the Sir Rocco Beach Club by Ushuaïa is the perfect place for a pure Mediterranean-style banquet featuring dishes made with fresh, natural ingredients. On the shore of one of Ibiza's most famous beaches and located between the Ushuaïa Ibiza Beach Hotel and the Hard Rock Hotel Ibiza, it’s an exclusive setting on the white island, ideal for saying I do. It's an exclusive ambience decorated with warm, rustic-style wood tones with a modern feel on the soft sand of the white island. Elegant touches, white canopies and luxurious, exquisite Italian cuisine created with superb ingredients for experiencing exceptional moments and fabulous weddings. Superb service, quality and a venue with wonderful sea views. 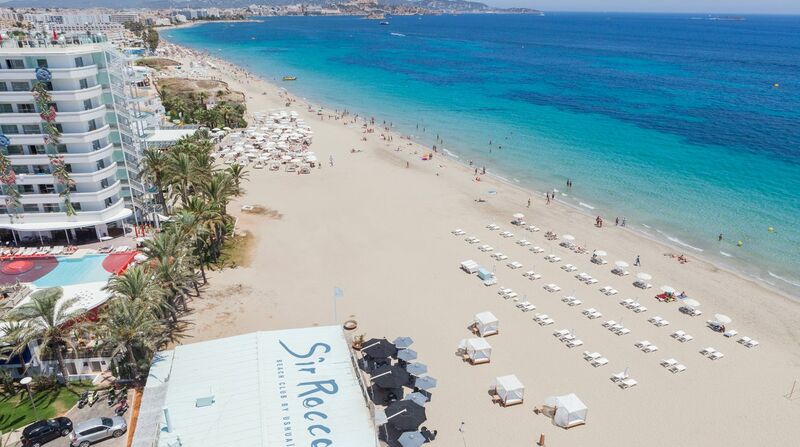 For more about Ushuaïa Ibiza Beach Hotel click here.